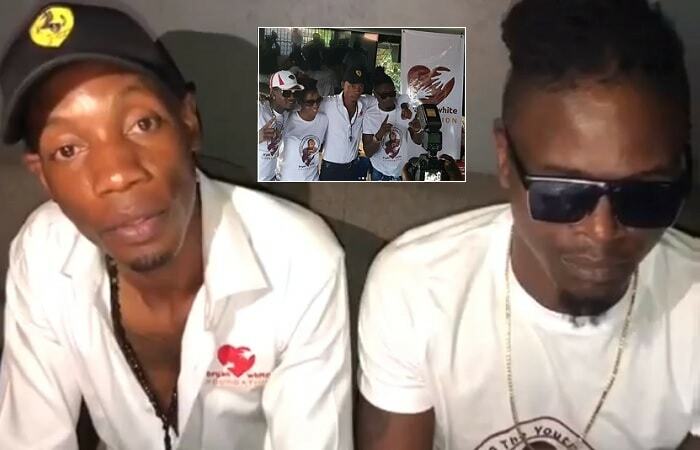 On Thursday, Douglas Mayanja aka Weasel through his management issued a statement that they had cancelled all dealings with socialite Bryan White following a clip in which the Tokyayitaba singer was belittled by the Bryan White Foundation CEO. A day later, the two parties had resolved their differences, though insiders say over Shs 25Million exchanged hands. "Hello Ugandans, Mugamba Mutya? I'm Kirumira Bryan aka Bryan White with Douglas Mayanja (Weasel), Michael Mugwanya and Cinderella Sanyu (Cindy)." "We got some misunderstandings as insiders, but we have since resolved our differences. The situation could have been exaggerated, but Weasel's supporters, please, do not be upset with us because if we hadn't sorted this out, we could not be here." "We are ok, we are fine and we do not have any issues, but if you continue giving us the negative feedback, that will only affect the progress of our operations." "If you are true supporters of Weasel, then you should stand with him in all his dealings because this arrangement benefits him as a person and the Goodlyfe Brand, so the misunderstandings between us have been cleared, we are okay, we are with Chagga (Manager)." Weasel also confirmed that it was all fine now and the fans should leave the past behind them as the two parties (Goodlyfe and Bryan White Foundation) have resolved to work together. "Weasel you are killing the legacy, you and Radio built, the legacy Radio and Weasel built was made out of talent not money or Showbiz. Moses Ki Radiology left for you a legacy to maintain and take forward, but it's so unfortunate that it's less than a month since legendary Moses Ki Radiology passed on and it's beyond proof that you can not take on the responsibility he left you with," Another added. 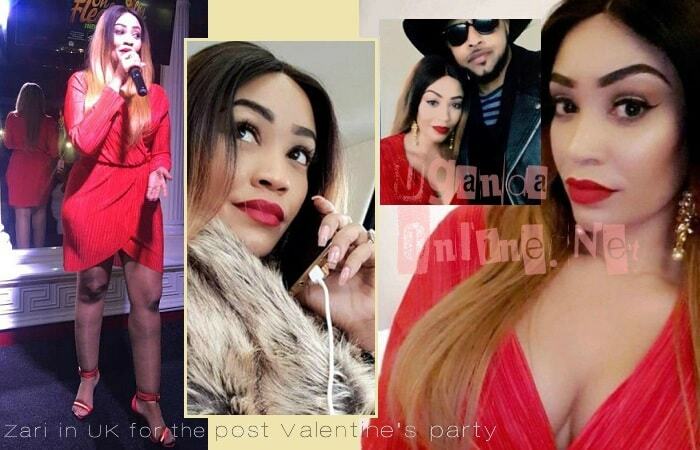 Zari in the UK for the post Valentine's party that was held on Feb 23, 2018 in North London. Inset is a yet to be identified dude that she was spotted with while there..